Home / Books / Photography / STEFANKO, Frank. Days of Hopes and Dreams: An Intimate Portrait of Bruce Springsteen. (New York): Insight Editions, 2003. Deuxe issue. 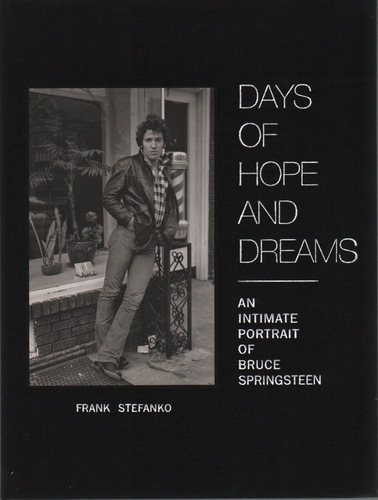 presentation of Stefanko’s most significant and most personal photographs from his time working with Springsteen, and Stefanko’s recollections offer behind-the-scenes stories of his work and friendship with this legendary musical talent. The introduction is by Springsteen himself. 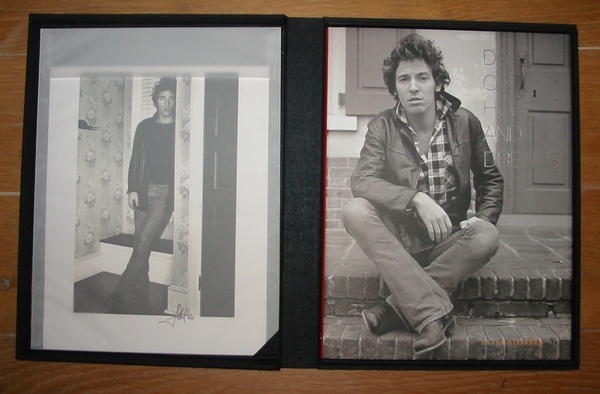 This is one of 450 deluxe copies, numbered and signed by Stefanko, and includes a signed (Stefanko) photographic print of Springsteen. Both print and book housed in the publisher’s cloth bound portfolio case. A fine example.